On Sept. 4, 26 million television viewers tuned in to watch the first Hispanic deliver the keynote address at the 2012 Democratic National Convention. The speaker, the mayor of San Antonio, was introduced by his twin brother, a State Representative running for Congress. As the two embraced, then saluted the crowd, the only discernible difference between them was the color of their neck ties. The mayor wore blue, the State Representative purple, two Latinos commanding a stage neither imagined in the humble home of their youth. The mayor, older by one minute, soaked in the applause and reflected on the journey that led him from a historic school to a historic moment. Julian (Class of ‘92) isn’t the first Jefferson graduate mentioned as presidential timber (more on that later). But he is the first to generate strong speculation on prime-time TV. How did he and Joaquin arrive on the national stage? The Castro twins climbed on the shoulders of giants, some of them from Thomas Jefferson High. A champion for the disenfranchised, Gonzalez took his fight to the State Senate. In 1957, he and Senator Abraham “Chick” Kazen held a 36-hour filibuster in an attempt to kill 10 racial segregation bills. Kazen started the filibuster and yielded to Gonzalez, who spoke 22 hours and two minutes without stopping. The filibuster, the longest in the history of the Texas Legislature, made national headlines. Its effect? Eight of the 10 bills Gonzalez and Kazen opposed died. Gonzalez mounted an unsuccessful campaign for governor in 1958. He also lost a race for the U.S. Senate in 1961. But later that year, Gonzalez became the first Hispanic from Texas elected to the U.S. House of Representatives. He served constituents in the 20th Congressional District for 37 years. Gonzalez cut a wide national profile. He chaired the Banking Committee, led a restructuring of the federal deposit system and correctly predicted the collapse of the savings and loan industry. A lesser-known legacy: He urged an investigation into the assassination of federal judge John H. Wood, a Jefferson graduate slain in 1979. More than two dozen Jefferson alumni have followed him into elective office but no one has served longer. Franklin Scott Spears (Class of ‘48) came the closest – 34 years. Spears served as a Representative in the Texas House from 1958-61, a state Senator from 1961-67 and a District judge from 1968-78. A descendant of James Wilson, who signed the Declaration of Independence and served on the U.S. Supreme Court, Spears is best remembered as a Texas Supreme Court Justice. He served on the high court from 1978-1990. In addition to Gonzalez and Spears, at least three more Jefferson alumni have served in the Texas Legislature: Representative Leo Alvarado (1992-2000), Representative Joaquin Castro (2002-present in the House) and Leticia Van de Putte, who served in the House (1991-99) and the Senate (1999-present). In 2008, Van de Putte (Class of ‘73) co-chaired the 2008 Democratic National Convention. The alumni legacy includes service in government and the courts. Rose Spector (Class of ‘50) became the first woman in Texas elected to the State Supreme Court in 1992. Fred Biery (Class of ‘66) served as a District Court and Appellate Judge before President Clinton appointed him to the federal bench in 1994. Other jurists from Jefferson include: Appellate judges Blair Reeves, Preston Dial and John F. Onion; District Court judges Peter Michael Curry, John Yates and Tony Fero; and Justices of the Peace Phil Harris and Robert G. Lee. Alumni have made history in municipal government. 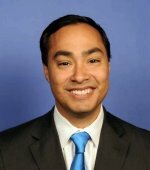 At 26-years-old in 2001, Julian Castro became the youngest person elected to the San Antonio City Council. At 34, he became the youngest mayor of a major U.S. city. He serves on the council today with another Jefferson graduate, Diego Bernal (Class of ‘95), who represents District 1. Besides Castro, Bernal and Gonzalez, other alumni who have served as City Council members include: Jack Kaufman (1961-65); Al Rhode (1975-77); John Steen (1977-81); Joe Alderete (1977-85); Roger Flores Sr. (1995-99), Ed Garza (1997-01); Bobby Perez (1999-03), Elena Guajardo (2005-07) and Louis Rowe (2008-09). Garza also served as mayor (2001-05) before becoming a trustee – and school board president – of the San Antonio Independent School District. Henry B. may have been the first Jefferson graduate to run for governor – but he wasn’t the last. In 1990, John Silber (Class of ‘43) used his position as President of Boston University to run for governor of Massachusetts. After winning the Democratic primary, he appeared headed for victory and there was talk of a presidential candidacy in 1992. But Silber lost a close race and never ran for office again. 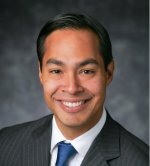 In the wake of the Democratic National Convention, speculation grows that Julian Castro will one day run for governor, and if successful, perhaps seek the White House. Term limits allow Julian to serve as mayor until 2016, which he insists is all he wants to do. Then what? He’s not saying, but others are saying it for him: Julian Castro could go where nobody from Jefferson – or San Antonio – has gone before. About Ken Rodriguez: An Alamo City native and graduate of Thomas Jefferson High School, Ken Rodriguez is a former sports and Metro columnist at the San Antonio Express-News. In 1999, Ken was a member of a Miami Herald team that won the Pulitzer Prize for investigative reporting. In 2006, the Texas Associated Press Managing Editors awarded him first place in the state for general column writing. He has worked as a marketer at Our Lady of the Lake University since 2009. Ken also writes freelance stories for a number of magazines and Web sites. Join other alumni and friends as we help preserve Thomas Jefferson High School. Learn how you can support the TJHS Historical Preservation Society! In a prelude to his first presentation before the U.S. Supreme Court, a young Washington lawyer enjoyed a front row seat to a historic legal drama. On January 13, 1997, a vigorous back-and-forth erupted between lawyers representing William Jefferson Clinton and Paula Jones, a case that would determine whether a sitting U.S. President could claim immunity from civil litigation. From a raised mahogany bench, nine black-robed justices interrupted with pointed questions. In a courtroom adorned with ivory columns and marble walls, dark suits fumbled for answers and butterflies took flight in the stomach of David Frederick (Class of ‘79), the young lawyer waiting to argue his case. When the proceedings ended, Frederick would approach the bench and present his first case before the United State Supreme Court: Harbor Tug and Barge Co. v. Papai. Thus began the first of Frederick's 40 cases before the high court. Sixteen years later, Frederick, 51, ranks among America's brightest legal minds, a persuasive orator who has prevailed in a majority of cases before the Supreme Court. His 41st case is scheduled for March. Frederick developed his oratory skills at Jefferson High School. He played a prominent role on the speech and debate team that went undefeated through four years of sweepstakes competition. As a senior in 1979, Frederick led Jefferson to the National Forensic League national tournament championship, scoring points in extemporaneous speaking (in which he finished second) and original oratory (eighth). "What I do now is advanced extemporaneous speaking," Frederick says, "because when I'm arguing a case before the Supreme Court, I want to connect with the justices. I get interrupted with questions, and I have to give a crisp sound bite response. So all the training I did at Jefferson -- hundreds and hundreds of hours of practices, night after night -- prepared me for what I'm doing now." In the fall of 1975, Frederick arrived at Jefferson with an interest in lighting and sound, the unglamorous, behind-the-scenes work of the school's stage crew. Two teachers, however, redirected him to another craft. B.J. Naeglin taught Frederick at Longfellow Middle School, where he excelled in speech. B.J. 's husband, Lanny, coached the speech and debate team at Jefferson. At the University of Pittsburgh, Frederick starred on the award-winning debate team, graduated with highest honors in political science and became the school’s first Rhodes Scholar. He earned a doctorate of comparative politics from Oxford and a law degree from the University of Texas at Austin. He clerked for U.S. Supreme Court Justice Byron R. White. Eventually, he worked for the Solicitor General, who represents the federal government in cases before the U.S. Supreme Court. As an assistant to the Solicitor General, Frederick learned how to strategize and fashion strong government positions. But like a tough prosecutor who becomes a skilled defense lawyer, Frederick switched sides and parlayed his knowledge and experience into victories for a wide range of private-sector clients, including States in boundary disputes, a foreign governmental entity that sells electricity in the United States, large and small companies, and individuals. In 2008, he represented a Vermont woman who sued a drug manufacturer after complications from an injection led to the amputation of her arm. Diana Levine claimed Wyeth Pharmaceuticals failed to include a warning label describing potential injuries from the manner in which she was injected with the drug. Wyeth argued that its warning label was approved by the Federal Drug Administration and preempted state standards of care and remedies. The dispute reached the high court. Frederick’s adversaries included former Solicitor General Seth Waxman (once his boss) and former Acting Solicitor General Edwin Kneedler (once his mentor). “I don’t think anybody predicted we were going to win,” Frederick says. He is recognized for his legal genius and encyclopedic knowledge. Reporters from print and broadcast media solicit him for comment on Supreme Court issues. And why not? 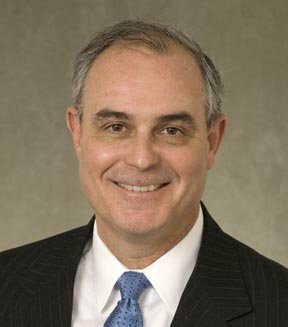 He once partnered with future Chief Justice John Roberts on a case, has written numerous articles and authored four books, including "Supreme Court and Appellate Advocacy," with a foreword by Justice Ruth Bader Ginsburg. The caseload can be crushing but Frederick finds escape in his wife Sophie and their children Aaron, Isabel, and James. For nine years he coached his sons' baseball teams. He also is an avid supporter of his favorite sports team, the San Antonio Spurs. He marks their games on his calendar and considers their television schedule when planning his business travel. After an arbitration in Chicago last year, Frederick thanked his lawyers and staff by taking them out to dinner. Watching the Spurs claim a fifth NBA championship would be sweet. Taking another case before the high court might be sweeter. After 16 years, yes, he still gets nervous before the Supremes. But every appearance is a pleasure, every presentation a rush. "It's a great day in my life," he says, "every time I get to do it." Peter Michael Curry (Class of ‘34) once upset and upstaged director Steven Spielberg during a film shoot in San Antonio. In 1974, a young Spielberg (age 26) cast Curry to play himself -- a judge -- during a courtroom scene in, The Sugarland Express, which starred Goldie Hawn. When Curry complained about the script, Spielberg allowed him to rewrite a scene. When Curry complained about the actors’ performance, Spielberg told him to direct the scene himself and stormed off. In his big screen debut, Spielberg yielded the director’s chair to a Jefferson alumnus with no film experience. That’s one snapshot of Jefferson’s influence on Hollywood. There are others, and they show alumni producing films with Oscar-nominated actors and sweeping up Emmy Awards for television movies and game shows. Today, almost 70 years after working for The Declaration at Jefferson, Nasatir has several scripts in development. She began her career as a literary agent. Nasatir represented Robert Towne, who won an Academy Award for best original screenplay for Chinatown, and sold the movie rights to The Exorcist and All The President’s Men. She later served as vice president at United Artists (the first woman in Hollywood to hold such a position), which produced Oscar-winning films Rocky, One Flew Over The Cuckoo’s Nest and Coming Home. In the early 80s, she became President of Johnny Carson Productions. In a career that spans more than 40s years, one film stands out. + Glenn Jordan (‘54) made his mark as an A-list director of television movies, winning four Emmy Awards and receiving numerous Emmy nominations. A graduate of Yale Drama School, Jordan also directed three motion pictures, the most notable being Mass Appeal (1984). According to the Encyclopedia of Television Film Directors, Jordan won three Emmy Awards for outstanding production/drama/program and a fourth Emmy for outstanding director. + Allen Ludden attended Jefferson but graduated from Corpus Christi High School in 1934. He hosted many game shows, including the GE College Bowl, but is best known as the emcee of Password, which ran in various forms from 1961 until 1980. His work on Password earned Ludden a Daytime Emmy Award for outstanding game show host. Ludden met actress Betty White on Password and they married. The marriage lasted until Ludden succumbed to stomach cancer in 1981. He later was awarded a star on the Hollywood Walk of Fame next to White. Twenty years after his death, TV Guide named Ludden the greatest game show host in history. + Robert Easton Burke (‘48) possesses an extraordinary list of radio, television and film credits, dating to 1945 when he appeared on the popular radio show, Quiz Kids. He has appeared in numerous films, among them: Voyage To The Bottom of the Sea (1961), Star Trek VI: The Undiscovered Country (1991), and The Beverly Hillbillies (1993). TV credits include Rawhide, Alias Smith and Jones, The Andy Griffith Show, The Lucy Show and a guest appearance on The Tonight Show starring Johnny Carson. In Hollywood, he carries the name “Robert Easton,” and is known as “The Man of A Thousand Voices” for his mastery of the English dialect. He has served as a dialogue and dialect coach on dozens of films, including Scarface, Good Will Hunting and God and Generals. + Michael Zinberg (‘61) may be best known as the executive producer of the Bob Newhart Show from 1972-78 on CBS. He directed dozens of episodes of such well-known TV shows as Everybody Loves Raymond, L.A. Law, Law & Order, Lou Grant, WKRP in Cincinnati, 9-5, Midnight Caller, The Practice, Caroline In The City, and The White Shadow. He also wrote for television series and produced two television movies, Accidental Meeting (1994) and For The Very First Time (1991). + Truett Pratt (‘67) co-wrote the theme song to Happy Days, the iconic 1970s show that featured Ron Howard and Henry Winkler and a cast of characters enrolled at -- believe it or not -- fictional Jefferson High School. In 1976, the song, co-written by Jerry McClain, peaked at No. 5 on the Billboard Hot 100 chart. “I was very proud to have received a first class, high quality, college bound education from a public high school,” Pratt said in 2009. The record sold millions of copies. Jefferson’s connection with the television and film industry began in 1940. Twentieth Century Fox came to campus that year to film High School, starring Jane Withers. The motion picture included members of the Lasso drill team. Decades later, parts of Johnny Be Good (1988) also were filmed at Jefferson. In the summer of 1974, young Hollywood royalty arrived on campus. A striking blonde with large sunglasses emerged from a shiny Cadillac convertible, parked on Club Drive, and crossed over to the tennis courts. Accompanied by two men in their 20s, one with long, shaggy hair, the blonde approached a teenage couple, relaxing with a German Shepherd. A year or two later, Darrell saw Sugarland Express and recognized Michael as Hawn’s co-star, “Michael Sacks.” And Steven? The third guy in the doubles match, the one with the long, shaggy hair, did not appear in the film. He was off camera, directing. It wouldn’t be accurate to say Spielberg got his start at Jefferson, since no part of Sugarland Express was filmed on campus. But you could say he came under the school’s spell. The Oscar-winning director not only cast an alumnus in the film, he allowed the late Judge Curry to rewrite and direct. And then, while driving through the historic neighborhood, Spielberg just had to stop and see Jefferson for himself. Join other alumni and friends as we help preserve Thomas Jefferson High School. Click Here to learn how you can support the TJHS Historical Preservation Society! Eight Thomas Jefferson High School alums were honored as "Alumni of the Decade" on Thursday, February 16, 2012. The ceremony preceded the school's Open House. 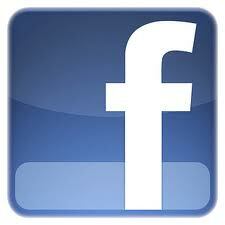 TJHS 80th Anniversary - Alumni of the Decade from TJHS Historical Preservation Soc on Vimeo. To measure the reach and impact of one Jefferson High School graduate, you must travel into space, to an orbiting sphere, 238,000 miles away. It is there, on crusty terrain, that the story of Aaron Cohen ('49) turns. In 1969, Cohen helped put the first man on the moon. Cohen left a distinct imprint on the Apollo 11 landing, a feat considered the greatest in human history. He directed the design and development of the Apollo Command and Service Module, the craft that reconnected with the lunar module and carried Neil Armstrong to the lunar surface. 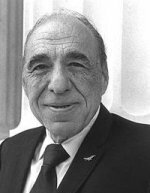 In 31 years at NASA, Cohen played critical roles in six lunar landings, developed the space shuttle, directed the Johnson Space Center and retired as a pioneer in human spaceflight. He died in 2010. While visiting his alma mater in 2007, he told students: "When I attended Jefferson in the late '40s, not this country, or any country, had the thoughts, ideas of sending humans to the moon. The courses I took at Jefferson … enabled me and gave me the confidence and the capability to be able to work on that project of sending men to the moon." In Cohen's day, students at Jefferson glowed with super nova-like promise. Emerging from one classroom was Franklin Spears ('48), a future State Representative, State Senator and Texas Supreme Court Justice. Brushing past Spears, Rose Spector ('50), a brilliant brunette who would become the first woman elected to the Texas Supreme Court. Stepping out of the auditorium, Robert Easton Burke ('48), a tall redhead who would succeed as a radio, TV and film actor, establish himself as the leading dialect coach in Hollywood and become known as "The Man of a Thousand Voices." Sauntering to the gym, Pat Knight ('48), a football and basketball star who would play for the New York Giants and officiate a Super Bowl. Strolling through the hallway, football players who led the Mustang to their only state championship in 1949. Moving among the giants was a bookish boy with a love for science, Robert Floyd Curl ('50). Curl did not date. He did not participate in sports. He conducted chemistry experiments on his mother's stove. "I think it's fairly accurate to say I was a nerd," he once told the San Antonio Express-News. As a professor at Rice University, Curl and two other researchers discovered a new cluster of soccer-shaped molecules that led to a new branch of chemistry. In 1996, Curl and his colleagues won the Nobel Prize. Curl and Cohen walked the same hallways, learned under the same teachers and blazed new trails in science and space. That pioneering spirit began with the school's first valedictorian, Gus Garcia ('32). A lawyer, Garcia won a landmark case before the U.S. Supreme Court in 1954, a ruling that prevented the exclusion of Hispanics from juries. Henry B. Gonzalez ('35), the first Mexican-American from Texas elected to the U.S. House of Representatives. Betty Jameson ('37), a founder of the Ladies Professional Golf Association (LPGA), who won 13 tournaments and paved the way for women golfers to earn millions of dollars. Lillian Dunlap ('38), the first Texas woman promoted to Brigadier General in the U.S. Army. Marcia Nasatir ('43), the first female vice president of a Hollywood film studio, United Artists, and an acclaimed movie producer. Kyle Rote ('47), the founder of the NFL Players Association who became pro football's first renaissance man. Pianist. Composer. Poet. Author. Coach. Broadcaster. Artist. Tommy Nobis ('61), an All Pro linebacker who founded a training and development center in Atlanta that has helped more than 12,000 people find jobs. Today, Jefferson graduates shape the world of music (guitarist Chris Perez owns a Grammy Award), television (director Glenn Jordan owns two Emmy Awards) philanthropy (Bernard Rapoport has given away $54 million) and law (David Frederick has argued more than 20 cases before the U.S. Supreme Court). One alumnus shapes the White House. Jim Lehrer ('52) has moderated 11 presidential debates. Almost 80 years after it opened, Jefferson is now known for its alumni in public service: San Antonio mayor Julian Castro ('92); State Representative Joaquin Castro ('92); State Senator Leticia Van de Putte ('73); San Antonio Independent School District trustee Ed Garza ('86), who also served as mayor and City Councilman. In another era, Jefferson was known for its military heroes. The most celebrated soldier was Lt. Col. Robert Cole ('33), who earned the Medal of Honor for bravery during the D-Day invasion of France. The best war story, though, may belong to Blair Reeves ('42) and Weldon Odell Stautzenberger ('42), Marines who fought side by side in World War II. In Okinawa, Reeves took a bullet to the spine. Under heavy fire, Stautenzberger lifted and carried him to safety. Reeves was paralyzed. Stautzenberger suffered two wounds, kept fighting and wiped out Japanese machine gun cave emplacements. He earned a Bronze Star. From a wheelchair, Reeves rose to Chief Justice of the 4th Court of Appeals. But his greatest achievement came as Bexar County Judge. In the late 1960s, voters rejected a tax increase for the Bexar County Hospital District. In the face of strong opposition, Reeves cast the deciding vote to double the tax. That led to the creation of the University of Texas Health Science Center. The legacy of two Marines reaches from Okinawa to San Antonio. On the battlefield, in the chemistry lab, on the surface of the moon, the spirit of Jefferson shines on.